Ralph C. Lester, 99, of Martinsville, Va., passed away Wednesday, June 13, 2018. He was born December 1, 1918 in Figsboro, Va. to the late Loury Lawson Lester and Mamie Draper Lester. In addition to his parents, he was preceded in death by his brothers, Victor Arlington Lester and Lawson Jackson Lester; sisters, Virginia Joy Lester Saunders Phillips and Golden Lester Slawson; and by his first wife, Alice Saunders Lester. He is survived by his wife, June D. Wilson Lester of the home; daughter, Elizabeth Lester Winn of Greensboro, N.C.; son, Ralph C. Lester Jr. of Lincolnville, Maine; stepson, D.E. "Skip" Wilson of Martinsville, Va.; sisters, Inez Lester Montel and Lottie Lester Estes both of Martinsville, Va. and Vaulene Lester Harris of Wrightsville Beach, N.C. Also surviving are three grandchildren; one great-grandchild; and several nieces and nephews. Before graduating from Martinsville High School, he worked with his father in the lumber business. After graduating in June 1936, he worked for V.M. Draper Mfg as a booking trainee. Before joining the United State Army Air Corp. in July 1941, he worked for Lester Lumber Co. as an outside salesman. He came home a 1st Lieutenant after serving 50 months. His overseas service was in the Pacific, namely the 5th Air Force as a military glider pilot and as a co-pilot on the C-47 troop carrier. He flew 62 combat missions, hauling ammunitions, food, and other supplies to the other services in the combat zone. Most of his combat service was on the island of New Guinea. After returning home in September 1945, he and his brother Lawson started a partnership building houses. This partnership was organized into a corporation with others in 1946 named Lester Bros. Inc. He ran several divisions. After resigning his position at Lester Bros, he founded Continental Homes in 1955, a competitor of Lesco Homes. With the help of many friends as shareholders, he organized another company in 1959, founding Nationwide Homes, Inc. At the time, this was unique in that its devoted purpose was to the contracting and building of shell homes. This industry, the Home Manufacturing Association, honored him in several ways. He was given the Eugene Kurtz Memorial Award in 1969 for his outstanding contributions to the industry. In 1987, he received the James R. Price Award for innovation and leadership in the industry. Ralph was the pioneer in the manufacturing and marketing of the modular house with his unique structure design first offered by Continental Homes in the mid 1960's. Don O. Carlson, editor and publisher of Automation in Housing Manufactured Home Dealer said, "He is the father of the modern modular housing industry, an innovative individual who is committed to hard work and willingness to risk capital to pioneer new ideas." As a community worker, Ralph was a Kiwanian, a Phythian, and served in many civic and charitable organizations. He was chairman of the Salvation Army board for 5 terms and was a recipient of its highest honor, The Others Award. He was a charter member of the Patrick Henry Community College Scholarship Foundation where a scholarship was established in his honor. He served the Martinsville-Henry County Memorial Hospital as its chairman and was president of the board when the Ravenel Cancer Center was established and organized. As a result of his civic activities, he received the Heck Ford Award, sponsored by the Martinsville-Henry County Chamber of Commerce. 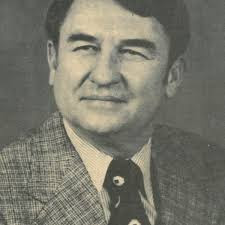 Ralph also served on several business boards including Piedmont Trust Bank and Virginia Mirror Company. In the early 1950's, he helped to organize the Forest Hills Presbyterian Church where he served as a Deacon, an Elder, and was a Trustee until his death. Ralph said: "First of all, my Lord God is responsible for any worthwhile legacy." He also gave credit to his friends, his bankers, his shareholders, and his employees. In 2008, Ralph authored a book, Magnet, to identify and perpetuate the entrepreneurial spirit that has dominated Martinsville and Henry County. A funeral service will be held at 2 p.m. on Monday, June 18, 2018 at Forest Hills Presbyterian Church with Chaplain Paul Johnson officiating. Visitation will be from 5 to 7 p.m. on Sunday, June 17, 2018 at Norris Funeral Services, Martinsville Chapel. Burial will be at George Washington Lester Family Cemetery. Lester was a giant among some more giants!.. I had the privilege to have worked with or for both Don Carlson and also Eugene Kurtz... at one point ..also.. fresh out of the military..as with Gene Kurtz of course. They were inspirational guys..leaders.. who ..among other things..truly lead by day.. while concurrently and effectually also thinking, planning and doing...the critical ..out of the box stuff..
Coach..we could use a couple more Lester's, Kurtz's and Don Carlson's and their wisdom and foresight! Is the future of our rich country to have to settle for SFRs and tiny houses?..Gosh sure hope ..e not..your thoughts Coach?